In October 2016 parliamentary elections were held in Morocco. The resounding victory belonged to the moderate Islamist Justice and Development Party (PJD), which became for the second time in a row the biggest party with a number of 125 seats. Its main opponent, the secular and royalist Authenticity and Modernity Party (PAM) doubled its representation in parliament to 102 seats. 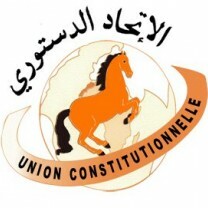 The largest left-wing party of Morocco, the Socialist Union of Popular Forces (USFP), lost half of its 39 seats and became the sixth largest party of the country. A cabinet was announced in April 2017, after long negotiations. 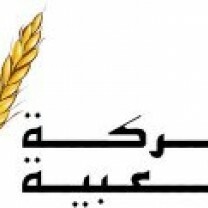 The new cabinet of Saad Eddine El-Othmani consists of the Justice and Development Party (PJD), the National Rally of Independents (RNI), the Group of Constitutional Union (UC), the Socialist Union of People's Forces (USFP), the Party of Progress and Socialism (PPS), and the Popular Movement (MP). Together they hold 240 of the 395 seats in the House of Representatives. The parliamentary elections of 2016 could be seen, despite the relatively low turnout (43 percent), as a consolidation of the constitution which was implemented in 2011 and a continuation of Morocco’s democratic process. Constitutional changes were announced by the King following nationwide protests that started in February 2011 which called for political reforms. Protesters and several smaller parties continue organising demonstrations because they find that the constitutional changes did not go far enough and demand a truly democratic constitution. Want to get notified by mail when Morocco gets updated? 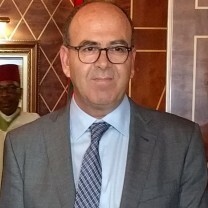 After Benkirane failed to form a coalition goverment following the elections of 2016, Saad Eddine El-Othmani replaced the former as Prime Minister. El-Othmani has been a member of the same party as Benkirane, the Justice and Development Party (PJD), since 2004. He was minister of Foreign Affairs during Benkirane's first government between 2012 and 2013. Saad Eddine El-Othmani was also Secretary-General of the PJD and the head of the PJD's parliamentary group between 2004 and 2008. In December 2017, he was reelected for the position of Secretary-General of the PJD. 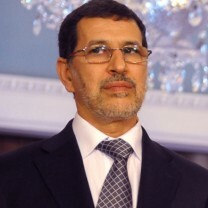 Saad Eddine El-Othmani was born in 1956. He studied medicine and psychiatry, and wrote some books on Islamic law. The current King, Mohamed VI, came into power after the death of his father, King Hassan II, in 1999. While King Hassan II was an autocratic ruler, King Mohamed VI appears to have a different vision for Morocco’s future. Under his leadership, there seems to be a tendency towards more democratic and liberal values in Morocco. Mohamed VI has stressed the need for social and economic reform and the need to tackle problems like poverty, illiteracy, and unemployment. In relation to this, NGOs and independent human rights organisations achieved more successes due to the increased possibilities the new regime offered. Morocco’s political system is carefully evolving from a strongly centralised monarchy to a parliamentary system. The King retains much of the executive power, but the parliament is democratically elected. However democratic gestures and programmes do not mean that any real democratisation is taking place. King Mohamed VI has, next to economic and social reforms, also reinforced his own powerbase by strengthening the army and placing members of his inner circle at important positions in the government. In 2001, a decentralisation process was launched. The local governors, which are appointed by the King, have achieved more power and that is why this is considered by critics to be a well-groomed way of the King to expand his power. Another way the King still yields power is his influence over formation of coalition governments. In April 2017 the King of Morocco approved a new coalition government after Prime Minister Abdelilah Benkirane of the PJD failed to form a government for six months. King Mohammed VI dismissed Benkirane in March 2017, replacing him with the party's second in command, Saadeddine El Othmani, who managed to form a government with five parties. Before Othmani's appointment, negotiations had stalled mainly because the National Rally of Independents (RNI) refusal to include the Socialist Union of Popular Forces (USFP) in a coalition. Both parties are now part of a coalition government together with the conservative Popular Movement (MP), the Party of Progress and Socialism (PPS) and the liberal Constitutional Union (UC). Several key ministerial posts remained unchanged. Yet the PJD has lost the essential Ministry of Justice and Public Freedom. The Arab revolution of 2011 also hit Morocco. On 20 February thousands of Moroccans joined nationwide protests in which they were calling for political reforms. They demanded King Mohammed VI to hand over some of his powers to a newly elected government and make the justice system more independent. Inspired by the pro-democracy protests in the Arab world, a group called the February 20 Movement was formed. It takes its name from the date of its first demonstration and has faced tough resistance from the state security forces. The February 20 Movement is a youth-led network from various ideological backgrounds. Relying mostly on the internet, the group pressed King Mohammed to establish a parliamentary monarchy, enforce accountability, and grant the judiciary full independence. On 9 March 2011, King Mohammed VI promised ‘comprehensive constitutional reform’ in Morocco and announced the establishment of the committee to work on the constitutional revisions, with proposals to be made to him by June that year. The monarch promised to hand over the power to appoint the prime minister to the parliament, and to provide Morocco’s regions with greater authority, saying it would help consolidate ‘our [Morocco’s] model of democracy and development’. Despite the King’s guarantees, the demonstrations continued. On 22 May of that year, Moroccan protesters, led by the February 20 movement, took the streets in Rabat, Casablanca, Tangiers and Agadir. In a televised speech on 17 June 2011, King Mohammed VI announced a series of constitutional reforms, to be put to a national referendum on 1 July. However, on 19 June about 10,000 protesters rallied in Casablanca against the proposed changes, which they said did not go far enough. The 20 February Movement also rallied in other Moroccan cities, calling for a truly democratic constitution. A national referendum was held on 1 July 2011. Following its results, constitutional amendments were introduced. The new constitution ensures that the prime minister is selected from the party that received the most votes in the elections, rather than chosen by the king. The prime minister becomes the ‘President of the Government’, and is able to appoint government officials - an authority previously held by the king. The new prime minister is also able to dissolve the parliament, the role previously accorded only to Mohammed VI. However, the king remains a key power-broker in the security, military and religious fields. The king continues to chair two key councils - the Council of Ministers and the Supreme Security Council - which deals with the security policy. The prime minister can chair these councils, but only using an agenda set by the king. The voting system was also changed; the number of parliamentary seats decided on a constituency basis was increased from 295 to 305. Additional seats were reserved for the election from national party lists, 60 consisting only of female candidates and 30 for male candidates under the age of 40. The new reforms were seen as legitimate by the Interior Ministry, according to which 98 percent of those who took part in the referendum on 1 July voted "yes" (turnout was estimated at 73 percent). However, the opposition said the turnout figure looked inflated and alleged irregularities in voting procedures. The result also followed a state media campaign in favour of the "yes" vote that appealed to a widespread sense of loyalty to the King, who is head of the Arab world’s longest-serving dynasty. Furthermore, protesters in Morocco do not think the changes went far enough. On 3 July the February 20 Movement took to the streets, rejecting the amended constitution. After the death of a Rif fishmonger in 2016 protests erupted in the Rif region in northern Morocco. Protestors demanded more liberty, security and social benefits in the region. The Rif region is populated by Berber tribes that have a distinctive culture. During the twentieth century multiple movements have tried to gain more autonomy of even independence for the Rif. Although their language and identity are guaranteed by the Moroccan constitution, they are widely considered to be a marginalized group. Corruption, crime and high unemployment plague the region. Discontent with the central government has therefore been high. The Moroccan government reacted to the protests with a violent crackdown. A multitude of political activists are currently in jail for protesting. Security forces have ended protests and arrested even teenagers. The King has blamed his ministers mainly for the current situation in the Rif. According to the Palace the King is often misinformed over ambitious projects to resolve the problems. Abroad the protests have found a lot of support. European Moroccans have protested in front of Moroccan embassies. On 7 October 2016, the second elections for the House of Representatives after the 2011 protests and constitutional renewal took place. Winner was the ruling Islamist Justice and Development Party (PJD), increasing its number of seats in parliament by 18 to 125. The main opposition, the secular and royalist Authenticity and Modernity Party (PAM), increased its presence in parliament by 55 seats to 102. In third with 46 seats came the Istiqlal party, which presented itself as an “alternative” to the new bipolarity of PJD vs. PAM. The National Rally of Independents (RNI) went down from 52 to 37 seats. The Socialist Union of Popular Forces (USFP) saw its representation in the parliament nearly halve, from 39 seats in the previous elections to 20 seats this time around. The Popular Movement (MP) gained 27 seats, the Constitutional Union (UC) 19, the Party of Progress and Socialism 12 (PPS), the Democratic and Social Movement (MDS) 3 and 1 seat for both the Unity and Democracy Party (PUD) and the Green Left Party (PGV). The Unified Socialist Party (PSU) cooperated with two other parties (PADS and CNI) in the Federation of the Democratic Left and won 2 seats. The 2016 elections were the second elections since King Mohammed VI introduced constitutional changes intended to dampen Arab Spring protests in the country. Voter turnout was with only 43 percent slightly lower than last elections (45 percent). Reportedly, turnout remained low because of the people’s loss in confidence in Moroccan politics, followed by the failure of parties to make sustainable changes and to translate their promises into true achievements. The largest left-wing party of Morocco, the Socialist Union of Popular Forces (USFP), lost half of its seats and will be present with 20 representatives in parliament. The United Socialist Party (PSU), led by Endocrinology Professor Nabila Mounib, participated for the first time in the parliamentary elections, after boycotting the vote in 2011 due to concerns about the limited scope of the constitution. Together with two other parties (PADS and CNI) it united in the Federation of the Democratic Left and gained 2 seats. The proportion of women in the Moroccan parliament has risen from 17 to 21 percent after the 2016 elections, meaning women now account for 81 out of a total of 395 seats. 71 of the 81 women gained their seat due to a quota system encouraging women’s representation, signalling there is still a lot of progress to make. On 4 September 2015 regional and municipal elections were held in Morocco that saw the ruling PJD taking control of the major cities of Rabat, Casablanca, Tangier, Fez, Marrakesh and Agadir. PAM won the most seats in the regions, with the conservative Independence Party (Istiqlal) in second place. Istiqlal lost its traditional stronghold Fez to the PJD. These parties fetched their support mostly from the more conservative rural areas. The opposition National Coalition of Independents (RNI) came in fourth, while the Popular Movement (MP) secured the fifth spot. The leftish parties did not perform well in the elections. The Socialist Union of Popular Forces (USFP) lost seats in both its strongholds Rabat and Agadir, and gained just 7 percent of the vote overall. The Party of Progress and Socialism only participated for regional seats and won just 3 percent of the vote. The Federation of the Democratic Left (FGD), a coalition of the Socialist Democratic Vanguard party (PADS), the National Ittihadi Congress Party (CNI) and the Unified Socialist Party (PSU), got 90.000 votes (0,15%), gaining one seat in Rabat. As a result of the elections, each of the 12 regions in the country will have a directly elected council with wide capacities. This is part of a reform plan designed by the new constitution that focusses on a higher level of decentralization and moves away from the traditional centralized and bureaucratic system. The voter turnout was 53.67 percent, slightly higher than during the last local elections. Ahead of the elections 1.1 million new voters, of which 46 percent were women, were registered. Despite some irregularities reported by independent observers, there were no major incidents and election day was calm. 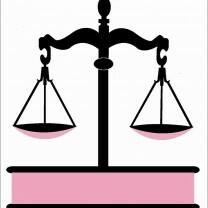 The constitutional amendments of July 2011 increased women quota from 30 out of 325 to 60 out of the 395 seats. This means that every party can present one list, consisting of maximum of 60 women candidates. Furthermore, the new changes include an article according to which women in addition to equal civil and political rights should have equal economic, social, cultural and environmental rights. However, the women quota is still below the 30 percent claimed by women’s movements. At the end of the candidate registration period, women headed less than three percent of local electoral lists. On a local level, the representation of women is very poor. Only 0.5 percent of the local councillors is women and there is only one female mayor in whole Morocco. Following the invitation of the National Council of Human Rights (CNDH), the Parliamentary Assembly of the Council of Europe (PACE) observed the parliamentary elections with seven teams of observers. The PACE delegation, led by Ian Liddell-Grainger, welcomed the professionalism of the authorities, who organized the poll with integrity and in full transparency. It commended the professionalism and courtesy of the members of the polling stations that the delegation met during its visit. In addition, it welcomes changes in legislation opening the young people list to women and the choice made by some parties to include a majority of women in their young people lists; it regrets that these and other legislative changes were made only at a late stage. PACE noted that some aspects of the electoral process could be improved. Cases of electoral fraud were reported, even though the members of the delegation did not see them. PACE will investigate these cases. Furthermore, the delegation advised the Moroccan government to create an independent Central Electoral Commission. It also regrets that the current voters’ registration system and the awareness campaign have not produced a turnout higher than in 2011, particularly among young voters, and notes the surprisingly high amount of spoilt ballot papers. The late release of party programmes/manifestos might have been one of the reasons for the low turnout, the delegation said. Finally, the organisation of the polling stations in a more structured manner could be improved; particularly in the counting process. The USFP is the successor of the “Union Nationale des Forces Populaires” (UNFP) which was created in January 1959 following internal division in the Istiqlal Party. In 1975 the name changed to USFP. The USFP, which had led the 1997 government, lost seats every election that followed. The party holds nowadays 20 seats in parliament and is the sixth party in parliament. After its creation, the USFP held its next congress in 1962. In the first legislative elections of the country, in 1963, the new party was a success and the leaders of the UNFP (among which Mehdi Ben Barka, who disappeared mysteriously in 1963 in Paris) were voted into parliament. Under the reign of King Hassan (1961-1999) the USFP was frequently harassed by the regime. In 1963 and 1981 party leaders were kidnapped and the party's press (newspapers "Al Moharrir” and "Libération") was forced to close down. In 1993 the democratic bloc “la Koutla Démocratique” was created by the USFP together with Istiqlal, PPS and OADP. In 1997 they formed the government together with their allies from the Koutla, which have been opposition in the past. Highlights of the USFP program are to integrate young unemployed people into the labour force, to maintain and stimulate the development of the Moroccan arts and handicrafts and their cultural values, and the adoption of local projects in order to promote investment and employment. The PSU was created in 2005 through the merger of the Parti de la Gauche Socialiste Unifiée (PGSU) and the “Fidélité à la Démocratie” association. The PGSU itself had been the result of an earlier merger of four leftist parties in 2002, namely the Organisation de l’Action Démocratique et Populaire (Organisation of Democratic and Popular Action), the Mouvement des Démocrates Indépendants (Movement of Independent Democrats), the Movement pour la Démocratie (Movement for Democracy) and the Personnalités Indépendantes de Gauche (Independent Persons of the Left). The PSU is a socialist party which strives for “a dignified life and equitable distribution”. 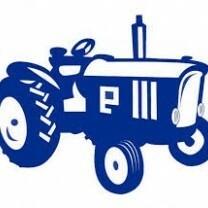 According to the PSU, their program is founded on the principles of modernity, rationalism, and citizenship. The party wishes to change the constitution so as to curb the powers of the king and turn Morocco into a constitutional monarchy. PSU furthermore wishes to increase the Moroccan’s sense of citizenship through education, training and cooperation with NGOs and grassroots movements. Important issues for the party are equal access to quality education and healthcare; the creation of employment; development of rural areas and environmental protection; the fight against corruption; the modernisation of the administration; and greater independence of the judiciary. PSU furthermore actively supports gender equality and equal opportunities for minorities and disabled. 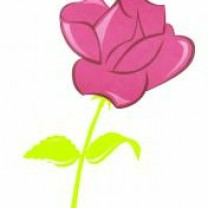 Within the party, a women network and a youth organisation are active. During the 2016 parliamentary elections the party won 2 seats as part of the Fédération de la gauche démocratique (Federation of the Democratic Left). The Party of Justice and Development was created as the 'Constitutional and Democratic Popular Movement' (MPDC) from splinters of the Popular Movement (MP) in January 1967 (the Party changed its name to PJD in October 1998). The party is moderate Islamist and a growing force in the country. The PJD carefully paves the way for a more religious orientated Morocco by creating the image of being the true defender of the Muslim state. The PJD presents itself as the only party which can bring problems such as corruption, poverty and the loosening of traditional values by the parties in power to an end. Before 2003 the electoral program of the PJD had five key points: authenticity, sovereignty, democracy, equality and development – everything in accordance with Islam. After the 2003 Casablanca-bombings, the party changed its political profile by becoming more pragmatic and less critical about the Western influences in Morocco. This pragmatic profile seemed to pay-off in the run-off to the parliamentary elections of 2007. The opinion-polls showed a great victory for the PJD, with the possibility of winning up to 80 seats. However, the outcomes of the elections were a big disappointment for the PJD. The party won only 46 seats in 2007, but it rehabilitated itself by winning the majority of the seats in the 2011 elections (106) and in the 2016 elections (125). The Authenticity and Modernity Party was founded in 2008 with the initial aim to strengthen the power of the king in Morocco. 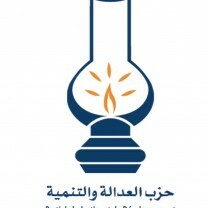 It is a centre-right party, composed now of the Environment and Development Party, PND-Al Ahd Union, the Alliance of Liberties and the Citizenship and Development Initiative that merged with the PAM in 2010. The new union won 47 seats in the 2011 parliamentary elections. In the 2016 elections PAM doubled its number of seats to a total of 102, making it the second largest party in Morocco. The Istiqlal/Independence Party was founded in 1944, as an umbrella group of Moroccans fighting for independence from France. In 1993, the party became one of the parties of the democratic bloc “Koutla” and was part of the new government of 1997. Ever since, Istiqlal is part of the government. Today, Istiqlal is the nationalist party of Morocco and the party in power, functioning in line with the Moroccan monarchy. Key points of the Istiqlal Party are the connection with Islam and the constitutional monarchy and the throne, the safeguarding of Morocco’s cultural identity, the realisation of economical and social equality, the development of the economy and the reduction of economic and social differences between the regions. Istiqlal also wants to offer more attention to the position of Moroccans living abroad. In the 2007 parliamentary elections, the Istiqlal-party became the biggest party in parliament with a total of 52 seats. In 2011 elections the party lost to the PJD, but won nine seats more (61 seats in total), thus becoming the second largest party in the parliament. The result of the parliamentary elections of 2016 was 46 seats. Since the National Rally of Independents was created in 1978 by the ‘SAP’ (Sans Appartenance Politique) deputies of the 1977 elections, the RNI strives for the realisation of its goals: the promotion of social democracy within the constitutional monarchy, the preservation of the Arab-African Moroccan identity and the defence of the territorial integrity of the Kingdom. 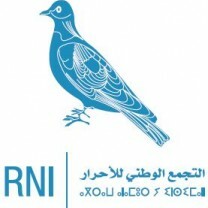 In the context of this program, the RNI calls for the realisation of a social project, aimed at the creation of a solid and competitive economy, which guarantees labour places, the development of the country, and reform of the legal system as well as the tax system - which in turn must encourage private investment. The RNI has 37 seats in the Moroccan parliament forming the fourth largest party. The group movement is also known as the Harakat parti and represents the Berber community in Maroc. The party has 27 seats in parliament. The Group of Constitutional Union was created in 1983 and has been part of governments in the past several times. The party is considered to be close to the palace or at least to the administration. Mohamed Abied is the party leader since 2001. In the 2011 elections, the party decreased its share of seats: from 27 in 2007 to 23 in 2011. In the 2016 general elections, the party lost an additional 4 seats. The UC is a member of the Liberal International since 2003. 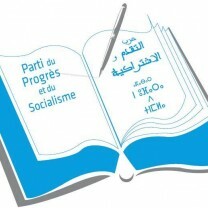 The Party of Progress and Socialism was founded in 1974 as the sucessor of the Moroccan Communist Party and the Party of Liberation and Socialism. It distanced itself from communism after the disintegration of the Soviet-Union. The PPS was part of the coalition governments of Abbas El Fassi (Istiqlal) and Adelillah Benkirane (PJD). It won 12 seats during the last parliamentary elections in 2016. Mohammad al-Hasssan was born on 21 August 1963, son of at that time King Hassan II and Lalla Latifa Hammou. Mohammed VI is Morocco’s third king since the country gained independence from France in 1956. 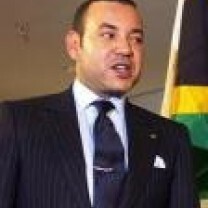 Mohammed VI went to law school in Rabat and earned a master’s degree in Political Science in 1987 and a doctorate in law from the University of Nice Sophia Antipolis in France. In 2002 he was awarded a honorary doctorate from the George Washington University. He ascended to the throne on 23 July 1999 upon the death of his father. Shortly after he became king, he announced some reforms and promised to take on poverty and corruption. However, Morocco remained an authoritarian monarchy and in February 2011 protests against the power of Mohammed VI broke out. The King of Morocco holds vast executive powers, including dissolving parliament at will. In a speech on 17 June 2011, King Mohammed VI proposed constitutional changes, but about 10,000 protesters rallied in Casablanca against his proposals, which they said did not go far enough. In July 2011 the changes to the electoral legislation and to the rendering of some of the king’s power to the prime minister were introduced. King Mohammed is married with Salma Bennani. They have a son, Crown Prince Moulay Hassan, born in 2003, and a daughter, Princess Lalla Khadija, born in 2007. 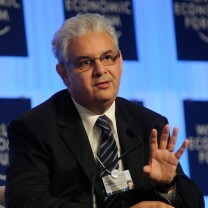 Driss Lachgar, born 1954 in Rabat, is the party leader of the USFP. Between 2010 and 2012 he held the position of Minister of Relations within the parliament. Before Lachgar entered parliament he was a lawyer. Lachgar was elected by an overwhelming majority and received 198 votes more than his opponent. After he was elected he reached out to all the party members, including his rivals, urging them to join efforts to breathe new life into the USFP. “The USFP needs all its components and all its skills,” he told the media, assuring that the party will not be run by one single person but that the management will be collegial. 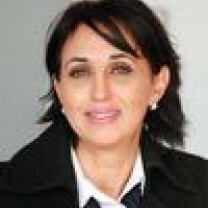 Nabila Mounib was born in 1960 in Casablanca and since 2012 holds the office of head of the PSU. In her position, she is also the first female to be elected as head of party in Morocco. Mounib received her PhD in endocrinology from the University of Montpellier, and now is professor for endocrinology at the University of Hassan II in Casablanca. Additionally, she serves as Regional Secretary of the National Union of higher education. Mounib rallyes for the unification of the Moroccan parties on the left of the political spectrum, and is involved with the Moroccan Democratic Left Alliance, an alliance of the PSU, the Socialist Democratic Vanguard Party, and the National Ittihadi Congress. 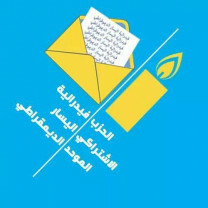 During the constitutional referendum of 2011, Mounib, not yet head of party, called on the Democratic Left Alliance, and specifically the PSU to boycott the referendum, claiming the draft did not allocate enough power to the people and assured no real separation of powers. In February 2018, Mounib was reelected to serve as Secretary-General of the PSU for a second term. Hakim Benchamach was bor in 1963 and studied Law at the University of Oujda, where he participated in a marxist-leninist student movemement. After two years of prison owed to his political radicality, he devoted his time to teaching law at the University Mohammad V in Rabat, and only resumed politics after the 2004 earthquake of Al Hoceima. Together with his friend Ilyas El Omari, he founded the Association Rif for Solidarity and Development to strengthen the affected region. On May 27 2018, after the resignation of El Omari from the position, Benchamach assumed the role of Secretary-General of the Authenticity and Modernity Party, which he had previously represented as president of the parliamentary group from 2008 to 2015. Nizar Baraka was born in 1964. He first pursued an academic career, getting a PhD in economics of the University of Aix-Marseille. After teaching economics at Rabat university, Baraka joined the Ministry of Finance in 1996. He held different positions over years, even being appointed Minister of Finance in 2012. In 2017 he became the leader of Istiqlal Party. Aziz Akhannouch was born in 1960. His father was a wealthy gas and oil investor. He became part of his father’s business empire in 1986 after he graduated from Université de Sherbrooke in Canada. Through his business ties he became involved with the National Rally of Independents (RNI) party. In 2007 he was appointed Minister for Agriculture, an office he subsequently hold under different Prime Ministers until the current day. In 2017 he became the leader of the National Rally of Independents. 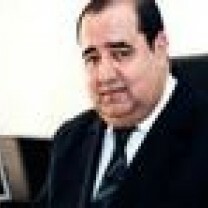 He is considered to be one of the richest man in Morocco. James N. Sater, “Morocco after the parliamentary elections of 2002”, in: Mediterrenean Politics, 8, 1, (spring 2003), pp. 1135-142. Stephen Zunes, “Morocco and Western Sahara”, in: Foreign policy in focus, vol. 3, no. 42, December 1998.